My first contact with Pamukkale was in 2012 when a friend of mine uploaded a very weird profile picture: A bikini shot in what seemed to be a frozen lake. My curiosity got the best of me and I asked her if she actually photoshopped said photo. “Of course not, it was taken at Pamukkale, haven’t you heard about it?” she told me. Pamukkale, a wonderful destination located in the Anatolia region of Turkey. 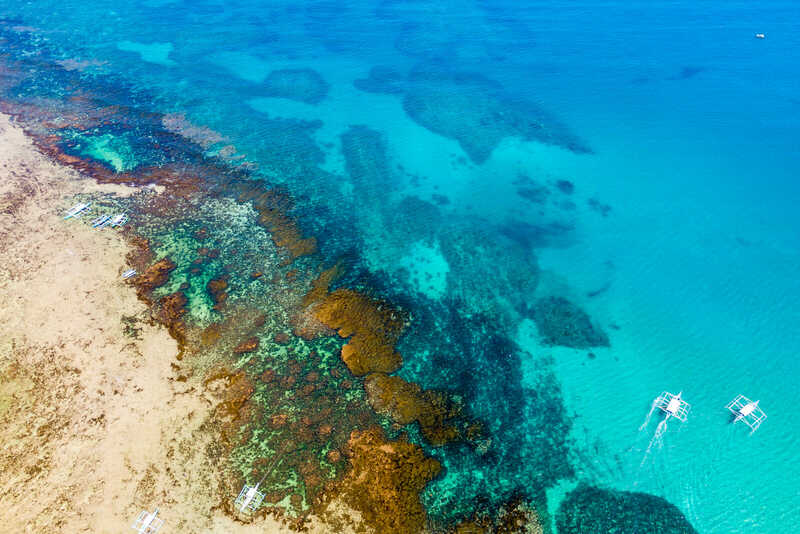 Come and explore it with me! 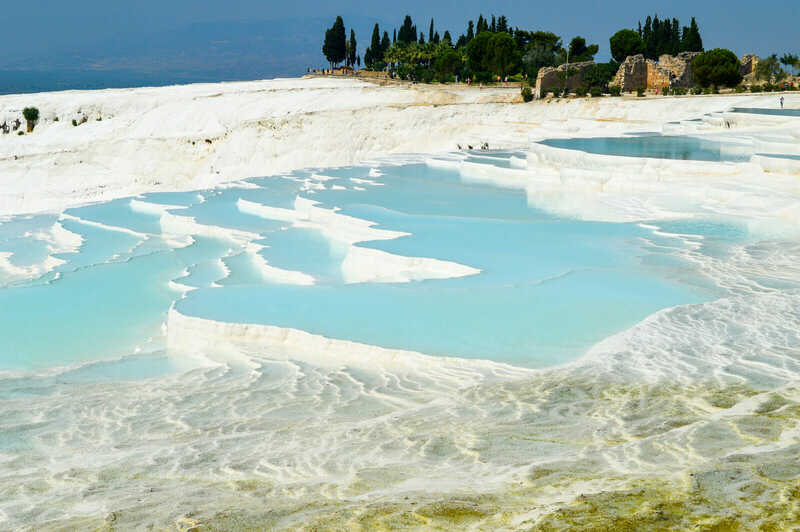 Pamukkale, a word that means cotton castle, is a very unique place in the world since it features travertines, a special form of limestone deposited by mineral springs similar to the ones found in Hierve el Agua, Mexico. These petrified formations have the appearance of ice, often confusing people like me. 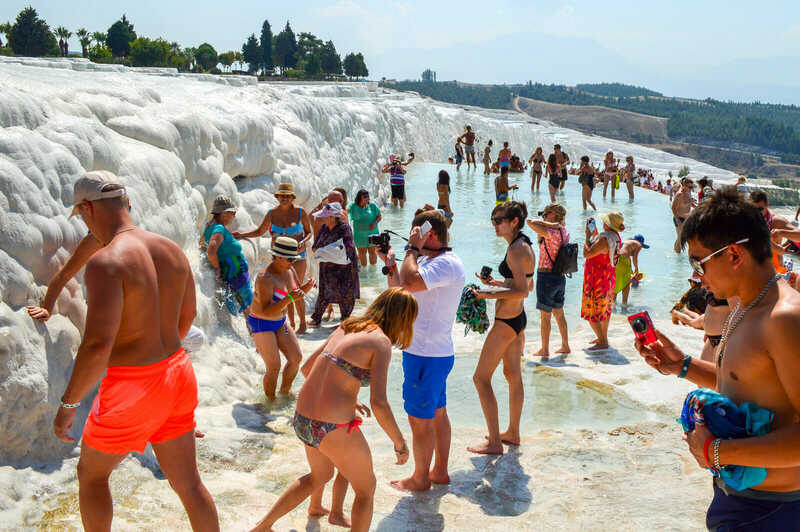 The site of Pamukkale is also famous for its hot springs where people have bathed ever since Hellenistic times, making it a must-see in any Turkey Itinerary. Have you ever imagined that a place like this even existed? 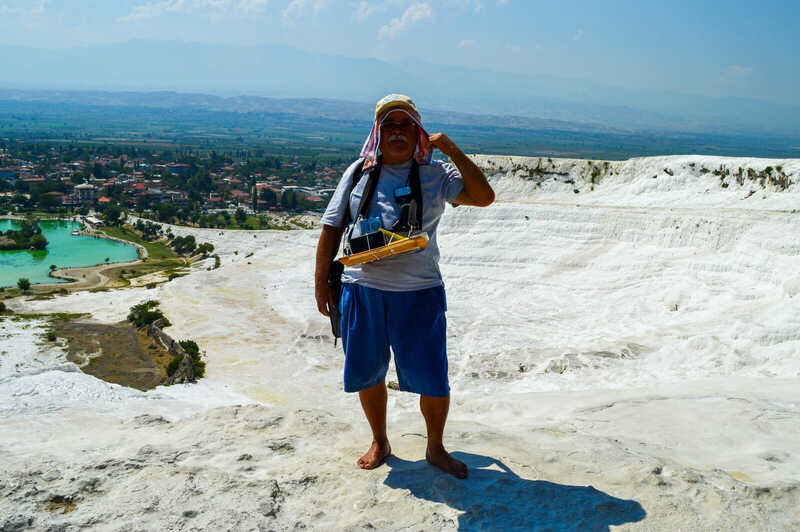 For some reason, you will find more Korean, Chinese and Russians in Pamukkale than in any other place in Turkey. I even started to believe that I was missing out on the entire Pamukkale experience by not having a Russian girlfriend or a selfie pole with me since 9 out of 10 people here seemed to have one or the other. 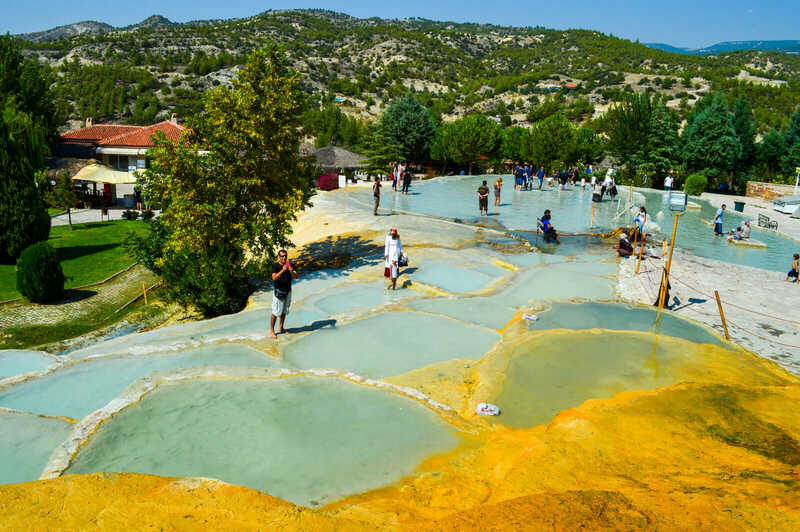 The travertines are located in the town of Pamukkale, easily accessible by bus from Selçuk (3 hours) and Fethiye (4 hours) although most buses will drop you off at Denizli from which you must take a short ride on a mini van to reach Pamukkale itself. Entrance fee to the main site of Pamukkale is 20 TL (7 euros) and it includes entrance to the Hellenistic ruins of Hierapolis (which were in renovation when I visited so I decided to skip them). The hike to the top is an easy one that takes you about 20 minutes depending on the traffic of people walking up and down. You have to remove your shoes when you enter to the travertine area so be sure to carry a bag with you. I suggest you to skip the travertines at the beginning and the ones at the top since those are the most crowded ones and instead relax at the ones in the middle. And yes, DO take a mud bath!!! 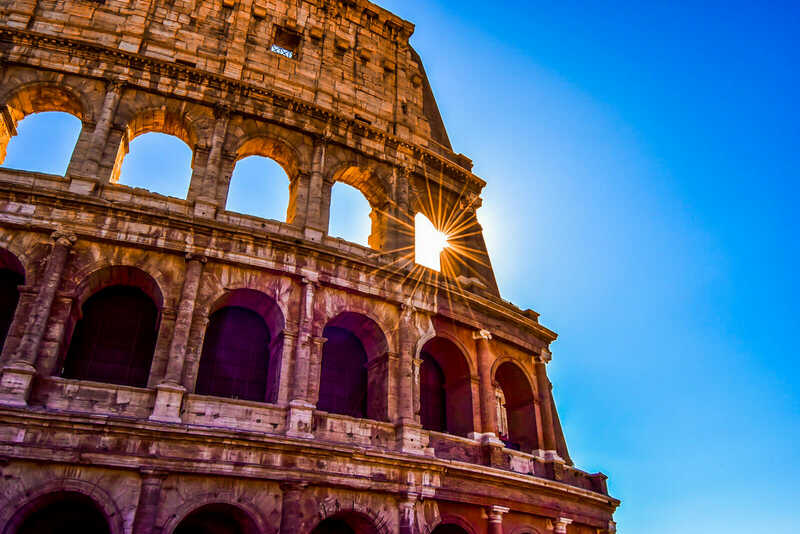 Once you reach the top you will notice two things: One is the fact that organized tours will start to arrive from the second entrance and slowly make their way to the bottom. The second thing? The Turkish Police. You see, some travertines are very fragile so they have clear signs for people to avoid stepping on them. As you can imagine, nobody really pays attention so don’t be surprised to always hear the whistle of a Turkish police lady. From here you can either hike back down, continue to the left in order to get an amazing view of Pamukkale and the pristine untouched travertines, continue to the right to access the hot springs (additional entrance fee of 30TL) or go further up towards the Heriapolis. In any case, you better exit through the second entrance and take a mini van to the nearby Karahayit. What’s in Karahayit? Well, wouldn’t you like to know? 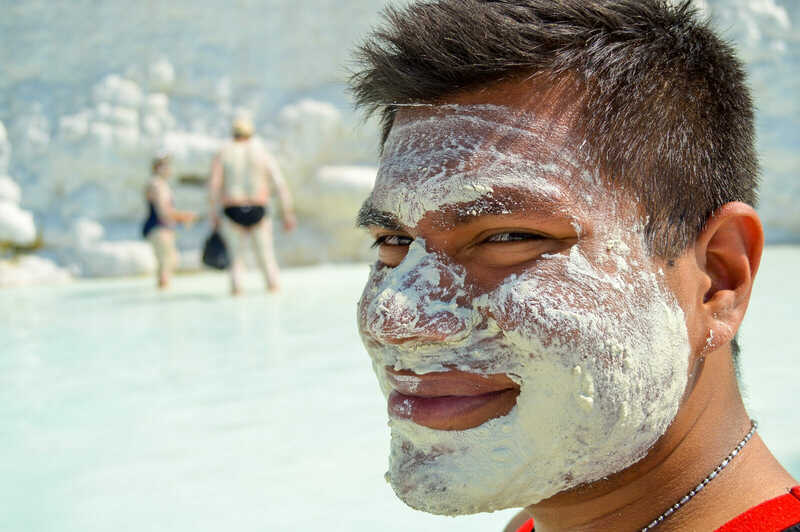 The reason why you mostly won’t see any Turkish at Pamukkale? It’s because they are all busy having fun in the nearby Karahayit, a town located 10 minutes away from Pamukkale. Karahayit is easily reachable by mini vans that leave Pamukkale’s bus station every 30 minutes, passing through the second entrance to the Heriapolis on the way to Karahayit. Karahayit’s travertines are basically the small budget friendly version of the Pamukkale’s travertines. And by small budget friendly I mean that they are totally free of charge. The best part? They also have a hot spring area which is also free of entrance and that the local people adore. Be careful, the water is really hot!!! 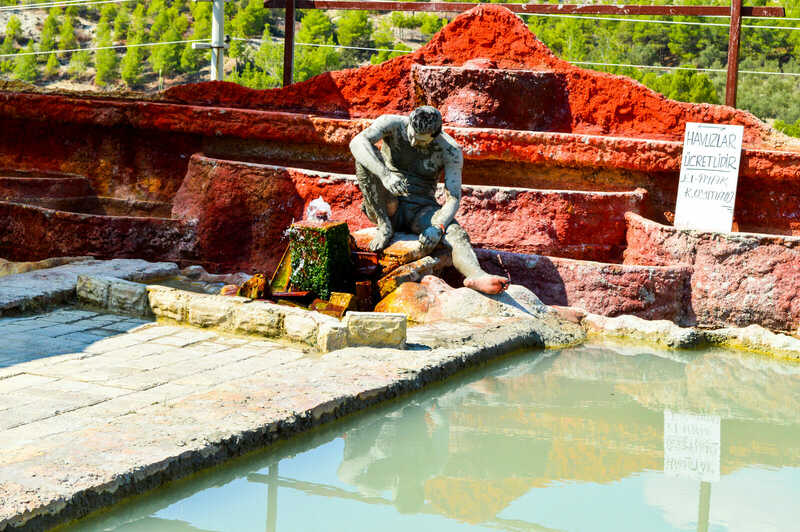 In addition to that, Karahayit also offers an area for mud bath (also free) and fish foot massage (1 TL for 5 minutes) where little fish eat the dead tissue of your feet. 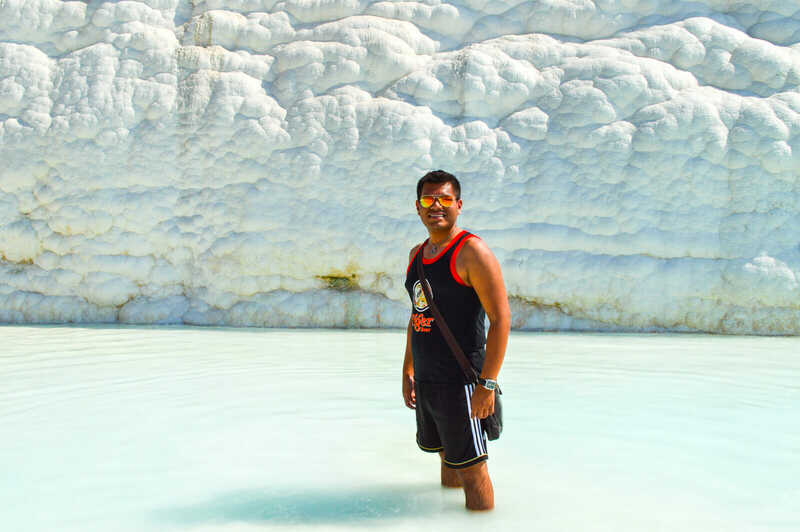 Personally, I would suggest you to spend the early morning of the day in Pamukkale in order to avoid the crowds and the spend the rest of your day relaxing away at Karahayit. After the day is over (and after a couple of showers), it’s time to come back to Pamukkale for the night in order to watch the sunset and take the night bus to Cappadocia. Accommodation in Pamukkale is very diverse and the best options are located just a stone throw away from the travertines. 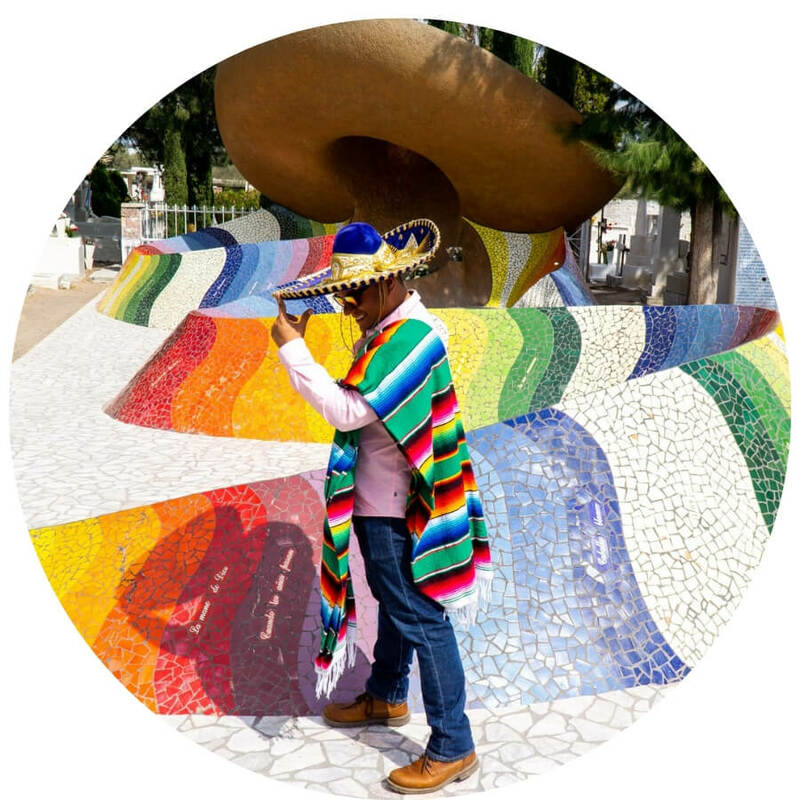 Here’s a list of my recommendations for all types of budget: for luxury and boutique hotels I recommend the Venus Suite Hotel and the Melrose House Hotel. When it comes to budget hostels and guesthouses my top choices are the Sunrise Aya Hotel and the Ozen Turku Pension. 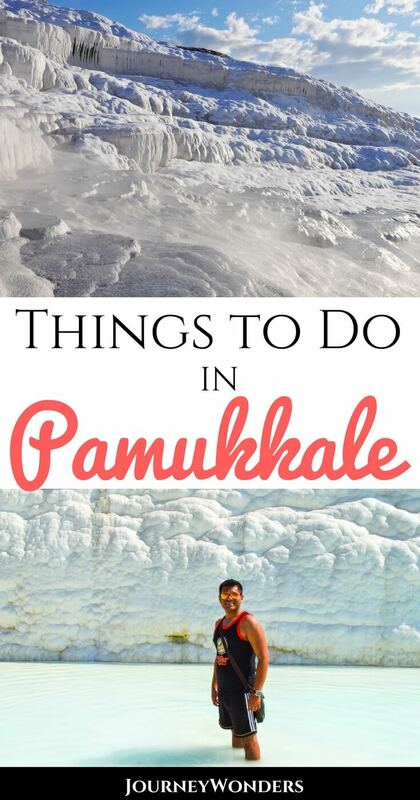 I hope you have enjoyed this travel guide to Pamukkale. Don’t forget to subscribe in order to get more awesome updates and tips straight to your e-mail! Have you ever heard about Pamukkale? 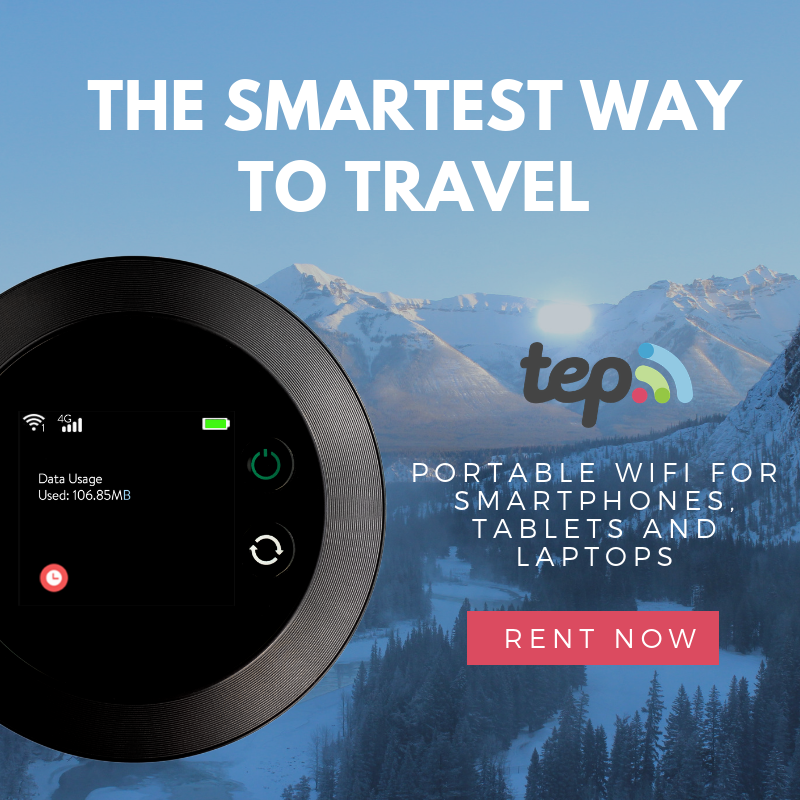 Would you like to visit it? Share your thoughts and let me know what you think! How interesting! I’ve heard of Pamukkale but didn’t really know what it was. 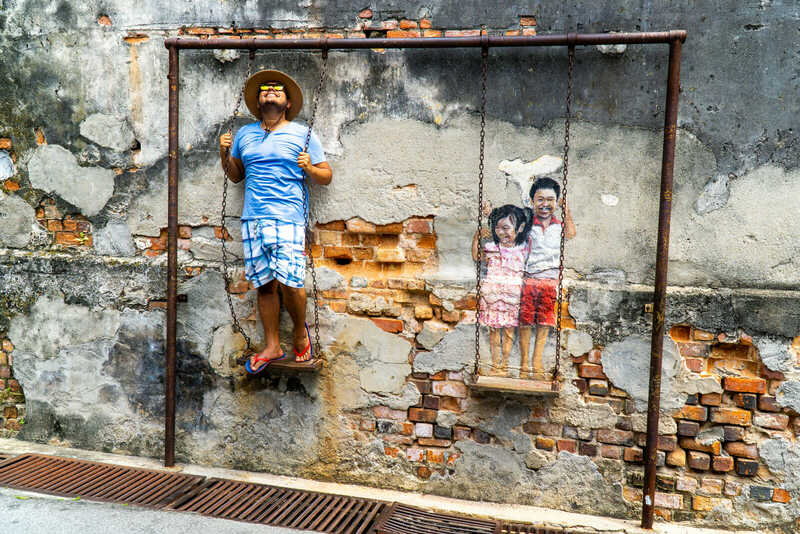 It’s cool that you went to both the touristy and the local/low budget places. Tank you for explaining all your pictures on Facebook you had made me all confused and curious lol. Very interesting place the types of colours reminded me of the blue lagoon in Iceland but this is something different. What an incredible world! I have heard a lot about Pamukkale. 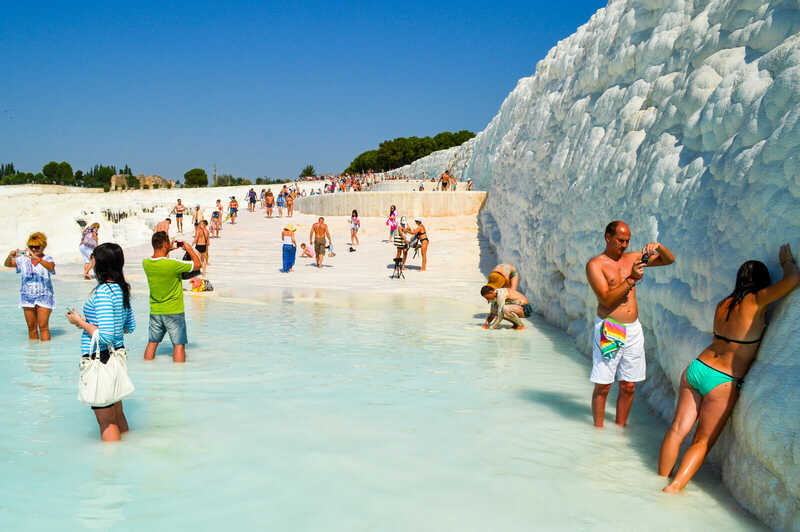 This place is known for its terraces that makes Pamukkale look like a frozen lake. 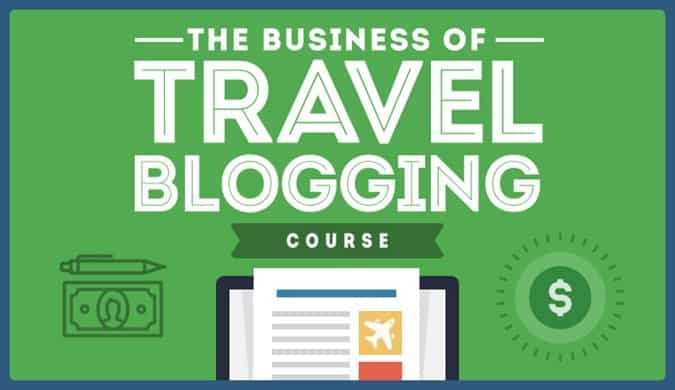 I loved reading about your experience. The place is so beautiful but it looks overcrowded to me. Is it so crowded all the time ? Thanks for sharing your trip with us.